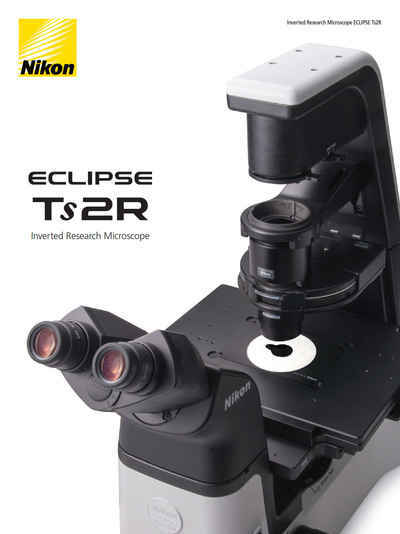 Eclipse Ts2R | Inverted Microscopes | Products | Nikon Instruments Inc.
Products and Promotions may differ based on your selected Region. A compact inverted research microscope configurable with a wide variety of observation methods. 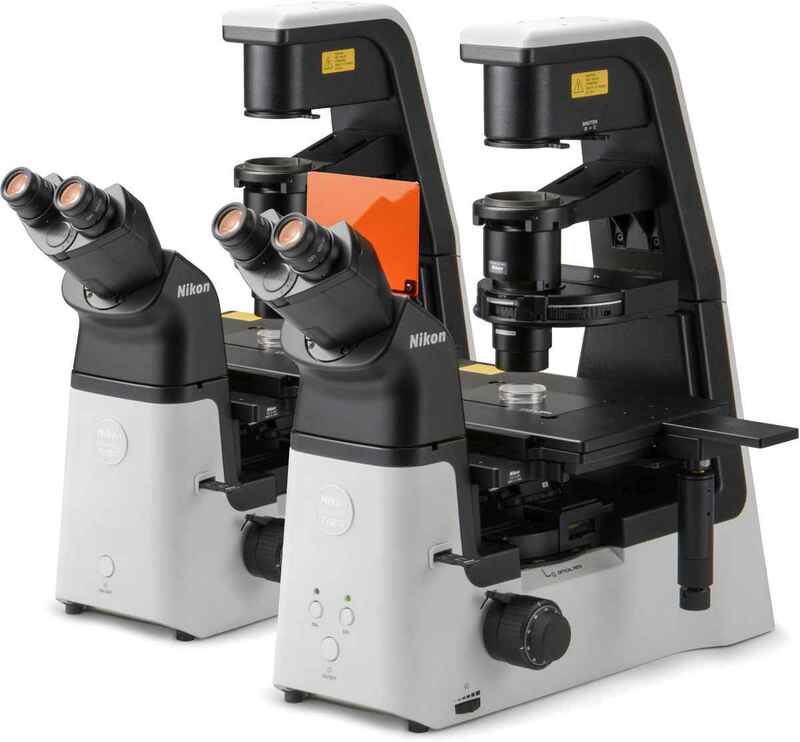 The Eclipse Ts2R sets a new standard for the inverted research microscope, providing a wide range of observation methods and applications in a compact body that can easily fit in limited laboratory spaces while maintaining excellent operability. Control buttons on the Ts2R microscope are intuitively located for a streamlined workflow. The on/off and Diascopic/Epi-fluorescence switching controls are located on the front panel while buttons pertaining to either Diascopic or Epi-fluorescence control are zoned to the left and right sides of the microscope body, respectively. The Ts2R’s stage height has been lowered by approximately 30% compared to the standard research microscope*, thereby ensuring a comfortable hand position during repetitive operation and sample exchange. Moreover, lowering the support columns and positioning the camera port on the side of the tube improve sample visibility. The Ts2R can be configured with an optional rectangular mechanical stage. This stage provides a long travel stroke, enabling users to observe an entire well plate from end-to-end. You can also set limits to the travel stroke (three-way) to match frequently used samples or vessels. The stage handle is offered in two lengths, long or short, to further accommodate the user's needs. The optional Contrast Shield accessory blocks room light, providing an easy and cost-effective method for achieving high signal-to-noise fluorescence observation in a brightly lit laboratory. 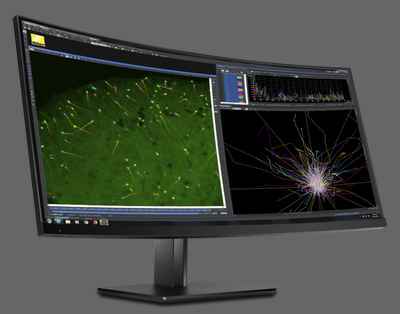 The high-intensity LED light source enables you to perform a wide variety of observation methods similar to the full-size Eclipse Ti2 inverted research microscope. The Ts2R-FL model, which offers Epi-fluorescence observation, provides four fluorescence channels, with 7 different wavelengths to choose from. Nikon's new contrasting technique is compatible with both plastic and glass culture dishes. Unlike phase contrast or NAMC, Emboss Contrast does not require special objective lenses and therefore has minimal effect on Epi-fluorescence observation. Emboss Contrast allows thick samples such as embryos to be easily observed in pseudo-three-dimensional image with great clarity. 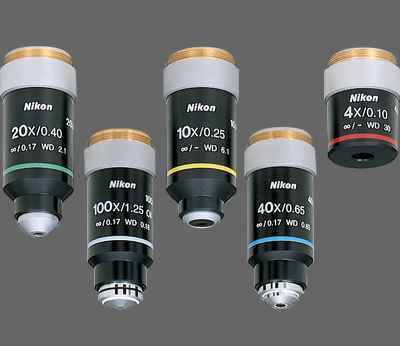 Image courtesy of Hideaki Watanabe, Ph.D. and Hisataka Hasegawa, Ph.D.
Illumination modules, including the Epi-fluorescence light source, have been seamlessly incorporated into the microscope main body, resulting in a compact and simple design form that's also durable. The compact structure is also vibration-resistant to provide highly stable sample observations. 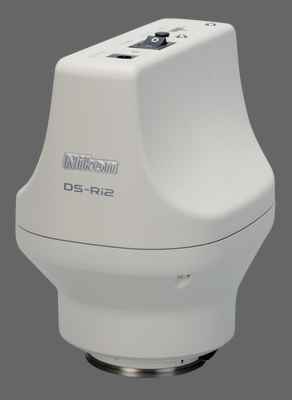 The compact size of the Ts2R microscope makes it easier to store and operate inside a laminar flow hood. Additionally, the low stage and side-port camera position reduce user fatigue from repetitive stage manipulation and provides clear visibility of the stage and sample even with the hood sash lowered. The Ts2R is compatible with Nikon's acclaimed CFI60 objective lenses which provide high numerical apertures and long working distances to deliver stunningly clear images.